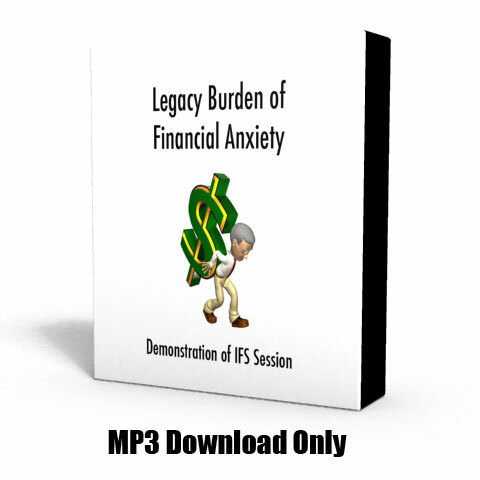 This session works with a legacy burden; the client discovers that a part holding financial anxiety has a legacy burden from her mother’s Irish heritage. She is able to unburden her ancestors “into the mists of time” and bring in positive qualities. She also activates an internal male and female team of financial advisors to help her in the present.